We all thrilled to Johannes Vermeer painting his best-known portrait as dramatized in Peter Webber's 2003 film Girl with a Pearl Earring. But for every heightened, scintillating feature film built around a well-known artist, there exists — or should exist, anyway — a documentary that examines the work itself in greater detail. For such a counterpart to the aforementioned Colin Firth/Scarlett Johansson vehicle, I nominate Joe Krakora's 2001 Vermeer: Master of Light, a rich look at the paintings of the well-known visual chronicler of seventeenth-century middle-class Dutch life, whose use of color could reach pretty formidable heights of scintillation itself. Providing its narration, we have a certain Meryl Streep. 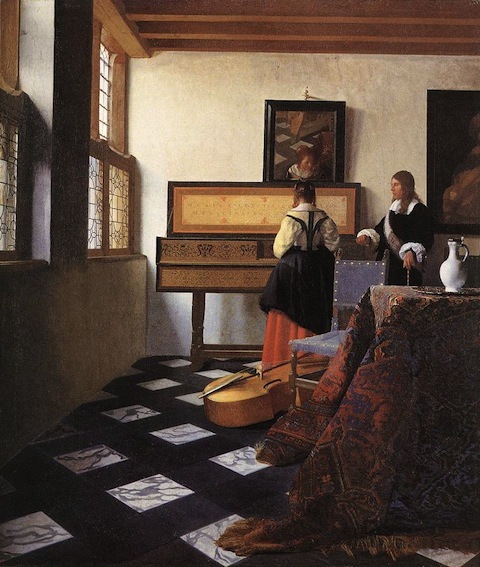 Streep's words and those of the documentary's expert interviewees must of necessity focus on Vermeer's actual paintings, since we know little of the painter's life. And we don't even have very many paintings to talk about: living from 1632 to 1672, Vermeer turned out fewer than 40 canvases. But what canvases: Master of Light goes into detail on his particular mastery not only of light and color, but of textures, perspectives, and seemingly minor but nonetheless painstaking touches. We do, however, offer a viewing tip: unless you particularly enjoy shots of light through windows, you may want to begin the video at 5:22 or so. 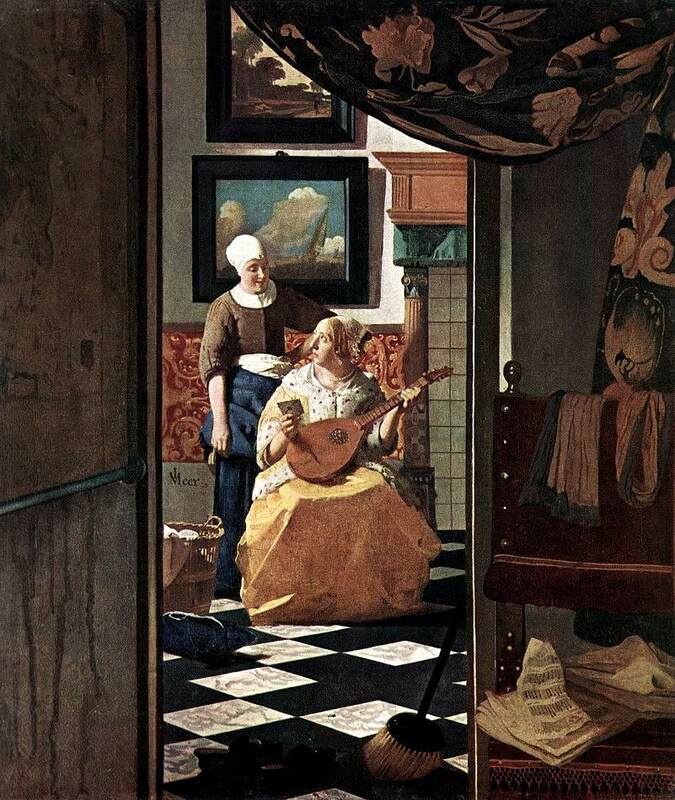 The analysis of Vermeer takes its time coming, but when it begins, it offers a wealth of surprising detail — just as do the paintings themselves. But don't believe me; find out for yourself by viewing fifteen of them up close at the Google Art Project, including Lady at the Virginal with a Gentleman just above, or, below, The Love Letter.